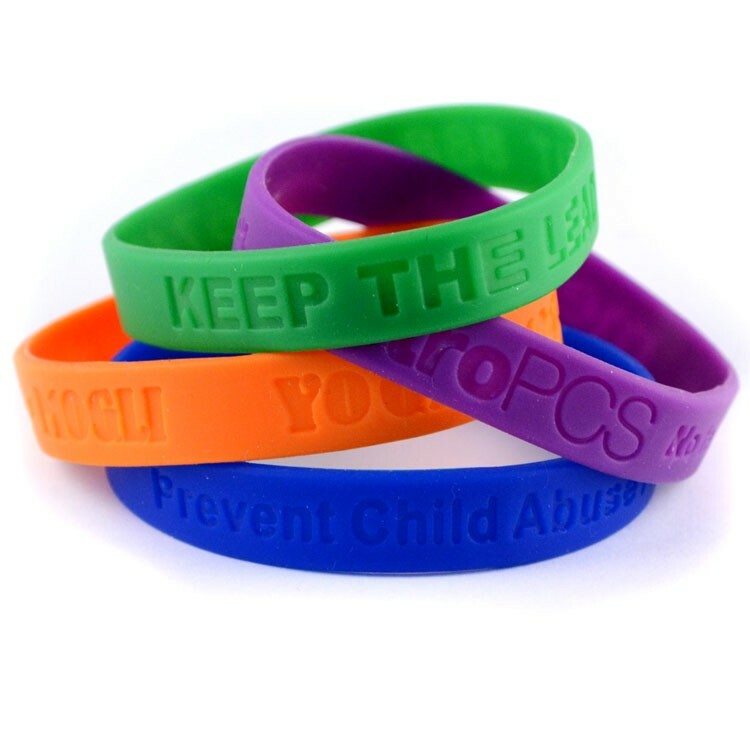 If you’re in a hurry we can custom make our same 100% silicone quality debossed wrist bands in a quick as 24 hours in a phenomenal number of color choices and sizes. Standard production time is 5 days, but 3 day and 24 hour is available. When you need rubber bracelets fast, we’ll get the job done. Assort colors in groups of 100.